Wow have I been absent all week??? I started my new job on Monday. In the past people had asked me how I fit in working full time, running, and Blogging, etc... WELL the answer was that I got up a little earlier to blog in the morning. But at my new job I go in earlier, so I can get off at 3:30. I am staring at the computer all day so by the time I get home the computer is the last thing I want to see... For now I don't have a new Bloggy rhythm, but I will get back to it. Good News is that I am LOVING the work/life balance and catching on fast to a totally new job. Since I get off early Running at night has been easy!! 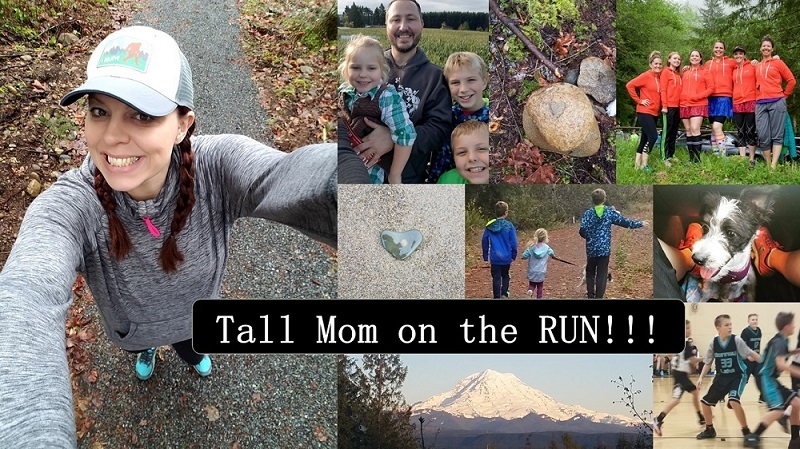 Below is a recap of my recent Runs..
FYI if I am MIA on the Blog I can be found other places... friend me on Dailymile HERE or like me on Facebook HERE. Saturday (Today): Solo run soon, pushing the boys.. 5-6 miles. Wed: 3 Miles on the Treadmill. Little Stud #1 wanted me to watch Alvin and the Chipmunks ChipWrecked with him (they are sort of obsessed with the movies right now) so I opted for a treadmill run. I tried to kick up the pace a little but my body does not want to go fast (for me) lately. So I coasted around 8:30, then sweaty after the run sat and finished the movie with the Little Studs. Mon: 3 miles in the neighborhood with the family. We hoped the track would be open so the Little Studs could run around, but the HS track was busy so we went to the Jr. high clay track, did a few laps then headed home. Easter Sunday: No run, LOADS of food...oops!! Tall Sister moved just down the block from us and hosted Easter. We walked to her house and had a fun day. For the past few years it has rained on Easter, but that day was PERFECT! Saturday: 10 miles with the Boys. The weather was ideal so we loaded up snacks and water and hit the trail. We started from South Prairie, which meant we would have a decent hill at the end of the run. 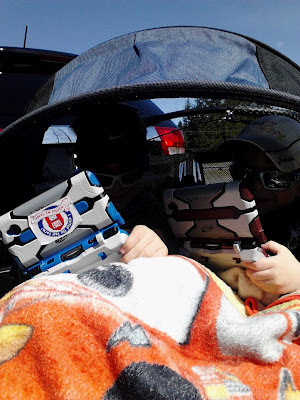 Little Studs with Hats, Sunglasses, blankets and DS for entertainment. LS #2, true to form, fell fast asleep within the first mile, LOVE him!! Overall the boys were pretty good, the only stops we made were to pass out snacks or drinks.. Mid way we took a quick break to refuel. 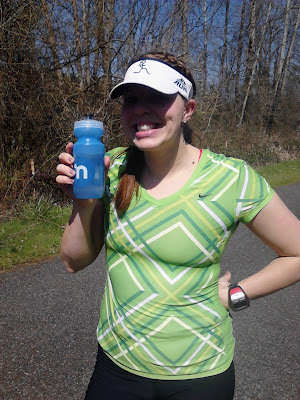 This was hubby's first trial of nuun, he was not a fan, but I don't usually drink nuun mid run, I drink it before or after, so will give it another try this week. But we did have Success in the Gu department, the Chocolate Gu was a hit (He was doing his impression of Zoolander I think). The second half of the run we slowed a bit due to the slight incline. I was tired and THIRSTY, we need more water next time. At the end of the trail there is a great coffee stand, so we rewarded ourselves with a Coffee shake and the boys with cute little Apple juice cans, we sat as they ran around..it was so peaceful and fun. 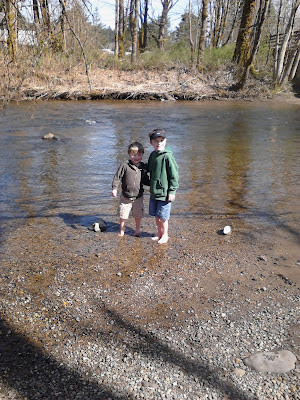 We promised the boys that they could play in the River when we Finished.. .Cant beat the scenery!! I am so proud of Muscle Man. I talked to him a bit about what we would wear on race day and if he wanted to match with me. I may go buy our outfits and see what he thinks.. The Little Studs has fun in the COLD water. We were not in a rush to get anywhere so we let them play. Gotta love these kiddos!! 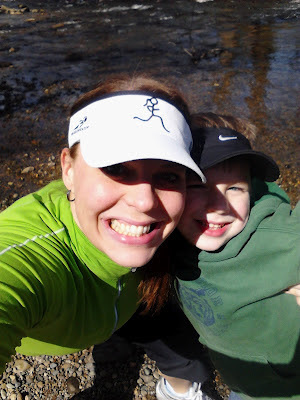 Today I am solo with the Little Studs, hubby is with his brothers, but he will be back tomorrow for another Long run. The Sun is out!! I am trying to find the energy to push the boys for 5-6 miles.. Maybe a second cup of coffee will help. GOOD LUCK to all the Boston Runners!! Hard to believe it has been 1 year since my last Marathon! Have missed your posts. Glad work is good. I'll friend you on daily mile. Major props for pushing jog stroller/double for longer than 5 miles. I only have done 4 with just 1 kiddo. 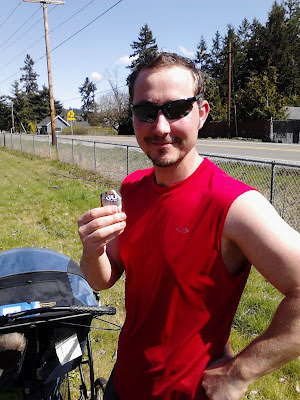 Glad your new job is helping you have balance :) Looks like your marathon training is going well, Yay for your hubby!! Awesome job pushing the kiddos on your runs!! Is it me, or did your boys just grow up tons since the last time you posted pics of them? Or was it the winter gear? Anyways, I'm amazed how much they've grown! Glad that your job is going well and it's really making it easier to find balance between work and family...that balance is so important! 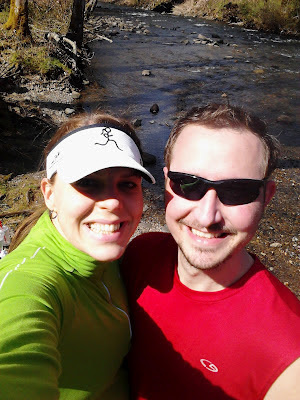 So awesome you and your hubs are running together! Mine would crap his pants if I insisted on racing in matching outfits! You have such a chill guy! Blogging misses you, too, Mel! Seems you adjusting great to your new job and your work-life balance already starts to improve. Very happy for you!! Missing you in bloggy world too! So happy things are going well!! Great up! You guys have been busy. I love that the boys played in the creek. So fun! Starting a new job is a BIG change, but you'll find your rhythm soon. In fact, it looks like you've already started. Great week of running! looks like a fantastic week of running and fun. glad you're liking the new job. and it's been a year and a half since my last marathon. ooomph. can't believe that! such great active, healthy family pics! love it! I sometimes think, wow the day is already gone...I feel like I just woke up!!! crazy days raising kiddos and being a wife! Nice week of running! And YAY for your first week of your new job! My husband's not a big fan of Nuun either - I think it's not strong enough flavor for him or something, and I like that about it. What flavor did he try? I love the joy in this post. So very happy for you and your new found family time. I think you two should match. S wore orange with us in Denver this past weekend, the pictures of us running together matchy matchy are fun to have (even though I am sucking wind).